Are you looking for a waterproof drone Quadcopter? Last year, I have carried out an extensive research to find the best waterproof drones for sale in 2019. Here is my compiled result of 8 best waterproof drones currently available in the market. There are many advanced waterproof drones stunning on the market in 2019. They included features such as waterproof drones with a camera, a waterproof drone that follows you, underwater camera drone, water-resistant drone, etc. The water-resistant features on the below quadcopter models allow freedom of flight at fields, backyards to rivers, oceans, and lakes. You can also get awesome underwater shots, and the fun need not end if it starts to sprinkle. How deeply can the drone be submerged in the water? Is the drone take off and land in the water? Is the camera is Waterproof? Is the controller is ease of use during the drone at water? Is the drone do its functions in water? I considered the above questions in mind and reviewed 12 waterproof drone models and give you the best out of it. I was not satisfied with the rest of 4 waterproof drone models, so I skipped those drones for your view. 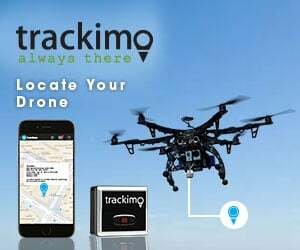 So that you can find the best waterproof drone for your budget and needs in 2019. Here is my compiled result of 7 best waterproof drones currently available in the market. Have a look at it! 1. Mariner II Fully submergible GoPro 20 Minutes CHECK PRICE! 2. JJRC H31 Fully submergible No 8 Minutes CHECK PRICE! 3. Goolsky H31 Fully submergible GoPro 8 Minutes CHECK PRICE! 4. GoolRC T6 20-70 cms under water GoPro 8 Minutes CHECK PRICE! 5. OOTTOO Fully submergible No 8 Minutes CHECK PRICE! 6. F51 Quad Several inches of water 2 MP 8 Minutes CHECK PRICE! 7. Maxbo RC Fully submergible No 8 Minutes CHECK PRICE! 8. NextX H2O 20-70 cms under water GoPro 8 Minutes CHECK PRICE! The Mariner II from Splash Drone is one of the most popular waterproof drones available on the market. It is a top performance waterproof drone compatible with GoPro Camera. Hardly, you can use this waterproof drone for virtually anything that involves water. Mariner II can land on water, float on water, fly in the rain, take-off in water, and surf on the water. The Self-tighten Carbon Fiber Propellers do the action on the water. Further, the Splash Drone Mariner II is a waterproof drone that follows you. Yes, the follow me functionality, makes this great camera drone the best choice for water sports, like surfing, water skiing, kiteboarding, etc. It is an autonomous drone. S0 it will automate the features. It also has 2 axis waterproof gimbal for a camera to get stable video shots. Another attractive feature is the attached 1 kg payload release device for this drone quadcopter. You can lift up small payloads, fishes, etc with this device. With the durable battery, it has a long flight time of 20 minutes. The control distance range is 1KM. Really, it is quite big for waterproof drones. Further, this waterproof drone is built to withstand strong wind and rain. Overall, if you need videos and photographs from underwater to above water, then it’s the best waterproof drone on the market that can do that. On the other hand, this advanced waterproof drone is a little bit costly. The JJRC H31 is one of the best waterproof drones for sale in this year, but it does not have any camera. This is a very affordable drone and comes with a cheap cost of under $50. Really at this price range, the waterproof drone quadcopter is a cool thing. Not only the drone is waterproof, but also it has some advanced features such as the headless mode to automatically adjust the position of aircraft before flying, 6-axis gyro for stable flying and be easy to control, 360-degree rolls, flips, durable long lasting battery, and longer flight time of 8-10 minutes. If you are a beginner flyer or need a water resistant drone at cheap cost then go for this waterproof drone. The next waterproof drone we are going to see is the Goolsky JJRC H31 waterproof drone quadcopter. Obviously, it is for beginners. Waterproof drones with a camera are a great addition to anyone’s collection. This waterproof drone can fly in the water with exhibiting high performance. The LED lights look great and help with orientation day or night. The Controller is very smooth to operate. The agility is outstanding. I was doing all sorts of crazy stunts in no time at all. The notable features are headless mode, One key return function makes quadcopter easily to find the way home, Equipped with the latest 6-axis flight control systems, Strong stability, easily implement various flight movements, easier to control, 3D flips function to ensure you fly at ease, fun and safe, and not worry about the drone fly away. In my view, if you are a beginner and going to buy a waterproof quadcopter then this drone should be the best fit. Since this drone is very cheap and easy to learn. This is another waterproof drone quadcopter from GoolRC. It is more or less similar to the above Goolsky JJRC H31 Waterproof Drone. Overall, for the cheap price, you are getting a pretty good quality toy drone. This is an excellent way for anyone considering getting into drones in a big way to start out and learn about drones and their handling etc. I would recommend this waterproof drone for newbies. I will start by saying that this little quad has exceeded my expectations in just about every way. It is fast, nimble and agile but not so much that it is difficult to control. The response from the transmitter to the quad is spot on, no delay and no lag. The notable features of this waterproof drone are durable battery which makes a longer flight, Waterproof airframe with nice durability, 360 degree rolls and flips, One key to return function makes it easy to find the way home, Lightweight airframe, High-speed rotation, Synchronized rotation, LED light, possible for night flight, High-speed aerobatics, and 3D Mode. Upon ending this review I want to give all that read this some information that I had to dig up and a significantly helpful tip for the first time flyer. Calibrate your transmitter. All In all, this waterproof drone is an awesome little quadcopter, for the price, the performance and the features it is a no-brainer and very hard to beat. GPTOYS F51 is one of the best waterproof drones with a camera. I love this drone because this one has a waterproof camera on it makes very cool footage. Very well controllable and can handle with just the slight touch of a button. Lights are very bright and can be seen from far away! The picture quality is also surprisingly good with its 2MP camera. I like the agility of it to it isn’t a real slow drone it has some speed to it as well. Further, surprisingly it has a waterproof camera! Overall, it would be love flying by big water and not thinking what if it falls in water heck. If you like to buy a waterproof drone with a camera, I would strongly suggest you get this waterproof drone. This is one of the best waterproof drones specifically for those who are trying to get one with that as its main feature. Easy to fly: 3 levels of speed control, you can easily switch. This is one of the best waterproof drones for sale in this year 2019. It is possible to fly the drone right into the water and then back out, provided the propellers are not submerged. Enjoy the fun near Pool/Lake/River, even drop into the water, it can fly up and play continue (Before the propeller into the water). Quadcopter’s circuit board and battery support waterproof function, although quadcopter is submerged in the water, it can work well after picking it up from the water. It has latest 6 axis stabilization gyro flying system, durable battery, LED lights to fly in the dark, 3D rolling and flips, etc. Overall, it is the best affordable waterproof drone to buy. This is a water-resistant drone but suitable for beginners. It is a perfect choice if you want to get underwater footage. The extraordinary water resistant ability enables 20cm depth underwater. The 6-Axis Gyro system gives you stable underwater photographs. The equipped LEDs are perfect for flying in the dark. This water-resistant drone quadcopter has some additional functionalities such as headless mode automatically locks into take-off once activated, LCD transmitter displays signal, insanely durable battery power, good speed, long flight time, Easy to Maneuverer, Left/Right Sideward Flying, Hover, 360 degrees Eversion, Support Flying Speed Control, Cruise Control, and Low Battery Warning for the Transmitter. Are you looking for a waterproof drone Quadcopter? Last month, I have carried out an extensive research to find the best waterproof drones for sale in 2019. There are many advanced waterproof drones stunning on the market. They included features such as waterproof drones with a camera, a waterproof drone that follows you, underwater camera drone, water-resistant drone, etc. With the best industrial waterproof drones, I have come to the end of this article. I reviewed 12 waterproof drone models and give you the best out of it. I was not satisfied with the rest of 4 waterproof drone models, so I skipped those drones for your view. So that you can find the best waterproof drones currently available in the market. Hope you are clear about buying your best water resistant and waterproof drone at your budget 2019. If you have any queries, post here in the comments section. Even at this intermediate price range (less than 300 dollars), most drones comes with HD camera, FPV, GoPro, Good drone distance range, durable batteries, good flight time, etc.